If you're going to be in San Diego at Comicon that's the one place for sure I'll be. Dwayne McDuffie had a prolific mind, and his ideas thrilled legions of fans. In the last decade alone he scripted and produced dozens of episodes of the "Justice League" and "Ben 10" animated series, as well as contributing to other animated projects such as "Teen Titans," "Static Shock" and the recent "All-Star Superman" DVD film. Beginning in 1989, he wrote dozens of titles for Marvel Comics and DC Comics, creating adventures for superheroes such as the Avengers, the Justice League, the Hulk, Spider-Man and the Fantastic Four. He co-founded Milestone Media in the 1990s to produce stories for ethnic superheroes, a group often underrepresented in American comics. But McDuffie's legacy was cut tragically short on February 21, 2011, when he died from complications after heart surgery. Entertainment luminaries celebrated McDuffie's work and his memory Friday morning at Comic-Con International in San Diego during the popular Black Panel, a venue for African-American creators in the popular arts to discuss their work and the industry. "This is not a memorial -- we're going to celebrate Dwayne's life,” said Michael Davis, one of McDuffie's partners in Milestone's founding, at the opening the panel. Davis wanted to set the tone for the hour-and-a-half discussion: a remembrance of McDuffie, his projects and his relationships with colleagues. Smart, generous, creative, helpful, hardworking -- those were words panelists used to describe how they felt about Dwayne McDuffie. Davis moderated the panel with the help of illustrator Tatiana El-Khouri. Other panelists included actor Phil LaMarr, the voice of Green Lantern on "Justice League"; artist Denys Cowan, another Milestone founder; writer Peter David; writer/artist Keith Knight; and Matt Wayne, McDuffie's best friend and managing editor for Milestone Comics. Reginald Hudlin, the movie director and producer who also wrote "Black Panther" for Marvel, joined via Skype, as did Derrick Dingle, another Milestone founder. McDuffie's friends and co-workers kept the tone jocular and upbeat, but some moments were almost heartbreaking. David said he was emailing McDuffie a short period before his death, right up until the day before he passed on. McDuffie wrote "I'll get back to you" to David via email in his final reply. David felt McDuffie would have produced more exemplary work if he hadn't died. "From a creative standpoint, I feel like he was just getting warmed up," he said. David told the audience he felt like McDuffie had been on the cusp of something great numerous times over the years sharing that he first read McDuffie's work when McDuffie penned the "Damage Control" miniseries for Marvel in the late '80s, and was mightily impressed. McDuffie scripted a Hulk appearance in the series, and the portrayal was spot-on in the opinion of David, longtime writer of "Incredible Hulk." "Dwayne came up with great ideas and made them work," LaMarr stated emphatically. They worked together for several years on the "Justice League" and "Static Shock" cartoons, where LaMarr voiced a number of characters, most famously John Stewart, while McDuffie operated behind the scenes. Hudlin added that McDuffie was a mentor to others, and the godfather of black comic book creators. Other panelists echoed this sentiment: McDuffie advised his fellow creators on stories and guided careers. 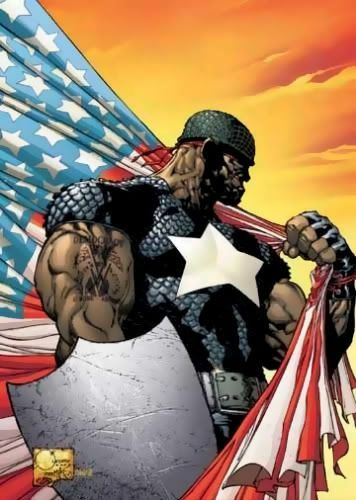 He did this all while advocating for more multiculturally representative characters in superhero comics, be they black, Asian, Latino or female. Davis said McDuffie made it a point to seek out ethnic creators throughout his own career. "He said, 'It's not Marvel and DC’s place to create our stories,'" Davis remembered. "'We create our stories.'" According to Hudlin, the most important aspect of McDuffie's legacy is that he constantly created opportunities for others. At least some of these people were in the audience, and they spoke of his helpfulness during the Q&A portion. One gentleman recalled how he became a screenwriter after McDuffie critiqued his scripts for "Ben 10" and offered supportive advice. Hudlin said he didn't know how McDuffie juggled all the writing and mentoring, but that McDuffie was a fast and compelling writer, regardless. Panelists showed a video clip of Wayne Brady addressing the audience from the set of "Let's Make a Deal." Brady said he was a huge comic book and McDuffie fan, and that he wished he could have made the Black Panel to prove as much. Davis announced a contest at the end of the panel, sponsored in part by Final Draft and Fandomnetwork.com, to find the next great writer, like McDuffie, and help him or her get their work in front of Hollywood movers and shakers. The only criterion was that he or she would have to produce the work using Final Draft. (Version 8 has a comic script template.) Davis handed out two copies of the software to lucky panel attendees, as well as two passes to a VIP party Brady will host on Saturday night. Sounds like the Black Panel was an informative affair. Wayne Brady is one of my favorite modern comedians. Good to know he was a fan of McD. According to Hudlin, the most important aspect of McDuffie's legacy is that he constantly created opportunities for others. At least some of these people were in the audience, and they spoke of his helpfulness during the Q&A portion. One gentleman recalled how he became a screenwriter after McDuffie critiqued his scripts for "Ben 10" and offered supportive advice. Now who was that unnamed participant? I need to stop the BS and go to San Diego. At least i'll get me a decent showing here in Baltimore where STAN THE MAN will be here for the Baltimore Comic Con. With these choices, I felt that the American black man only needed to choose which one to get eaten by; the liberal fox or the conservative wolf because both of them will eat him. I'm beyond excited to see Stan the Man. When you see him be sure to ask him the following. How do you feel betraying Jack Kirby and his heirs? I've already purchased a photo with Stan, so looking forward to that. I'll probably tell him I don;t care about Jack Kirby's heirs and thank him for just being Stan Lee when I was a kid and getting me into comics. I guess you have plans to get it signed. Well good luck lol. I'm slightly disappointed that I didnt get to have my Infinite Crisis signed by Johns when he was there a couple years ago. It isnt a "big" but it does have a great showing of the "stars" in the game. I wouldnt be surprised that Geppi had something to do with this when it started. Cho always show up. As always, kids 10 and under get in FREE! Frank Cho and Jim Starlin showed up to this little rinky dink con near my house at George Mason University. That really surprised me.